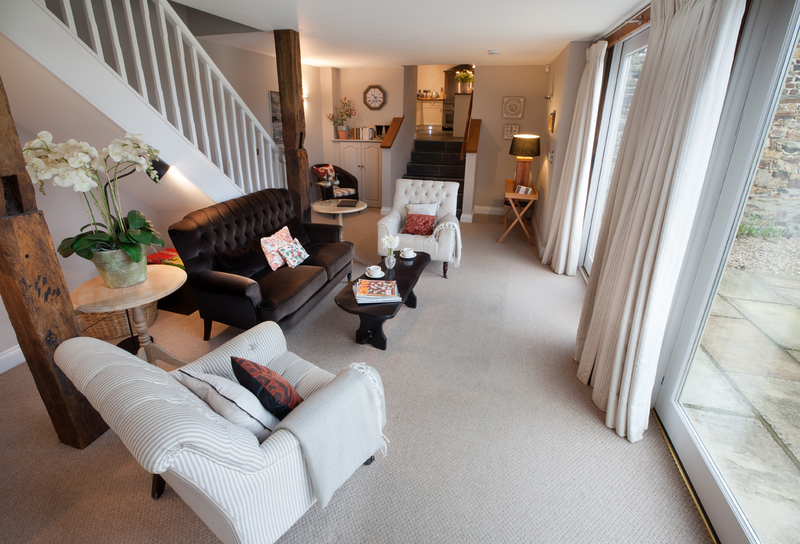 Easter Weekend offer - now frrom £1200 for 3 nights!! 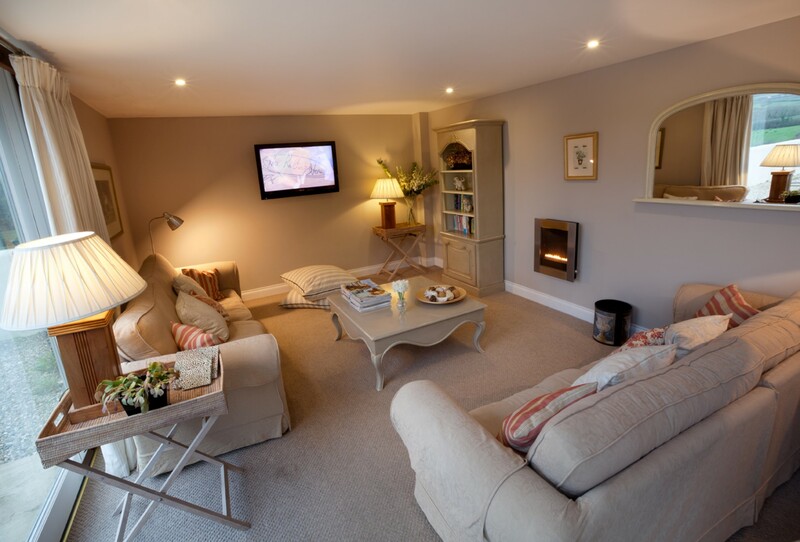 Located in a beautiful North Devon Conservation area that surrounds the pretty village of Tawstock, The Stables at Parkgate is a luxury 6 bedroom holiday home set in its own private grounds. Surrounded by rolling North Devon countryside but still only a 10 minute drive from the lively North Devon town of Barnstaple, this large holiday property also benefits from communal gardens with an outdoor tennis court, children’s play area and a games room. 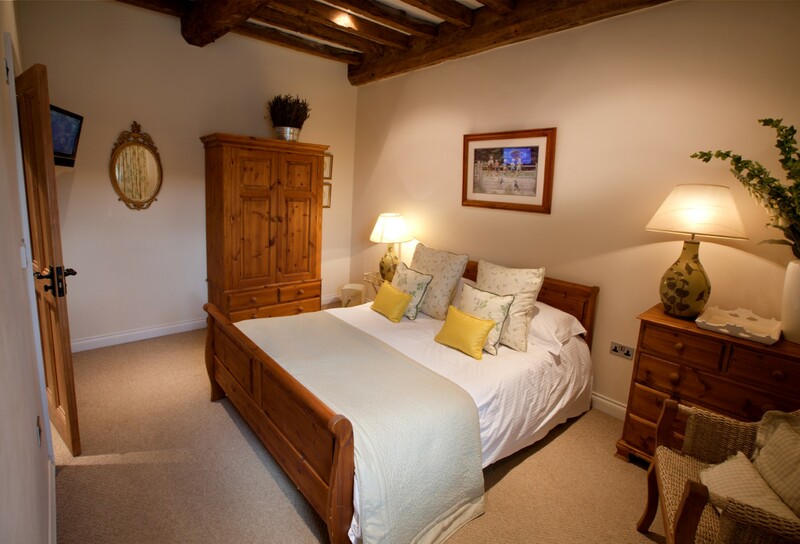 Throughout The Stables at Parkgate is furnished to an exceptional standard to offer guests luxurious holiday accommodation in a stunning setting. 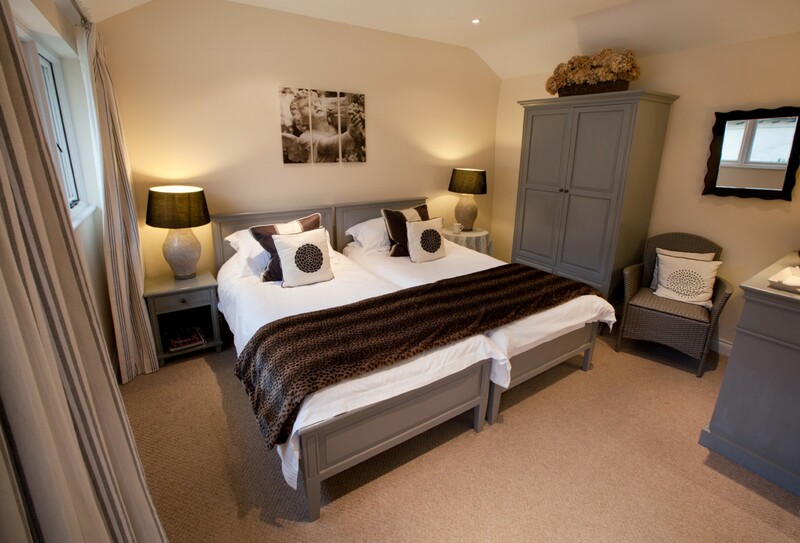 This large self-catering holiday home provides ample space for all generations to relax and unwind together in very comfortable surroundings and is perfect for those looking for somewhere to celebrate a special occasion such as a milestone birthday or anniversary, reunion or perhaps a memorable family holiday. The ground floor boasts a large and sumptuous lounge that has been divided into two separate areas, so guests can choose to relax in front of the fire whilst watching the TV or at the other end of the lounge admire the countryside views captured by the floor to ceiling windows. 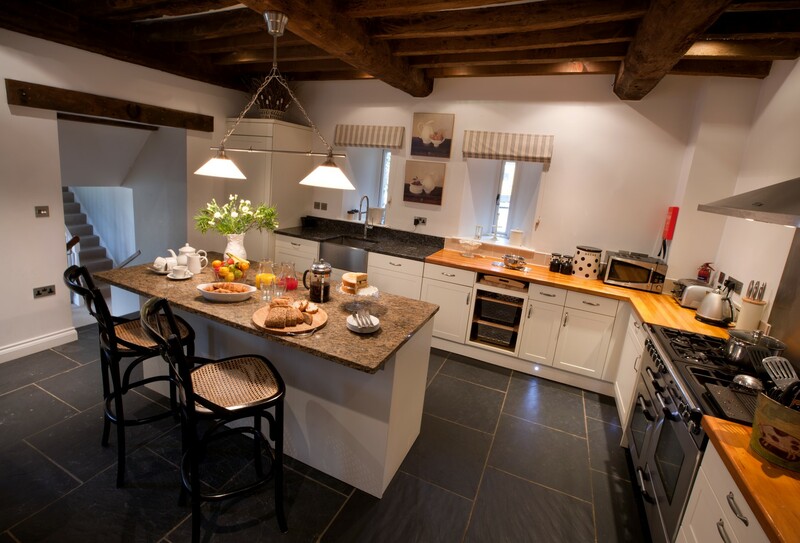 A large kitchen is well-equipped with a large American fridge-freezer, ice maker, wine cooler and double range oven, and everything you could need for cooking for a large group whilst on a self-catering holiday. A handy breakfast bar offers the perfect spot to enjoy a quick cuppa. 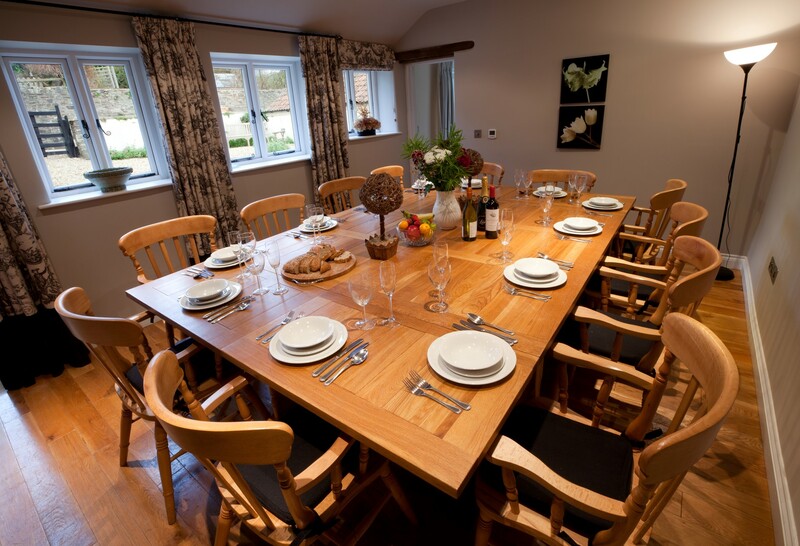 Off the kitchen is a separate dining room with a huge oak table and chairs for 12 people to dine in comfort. 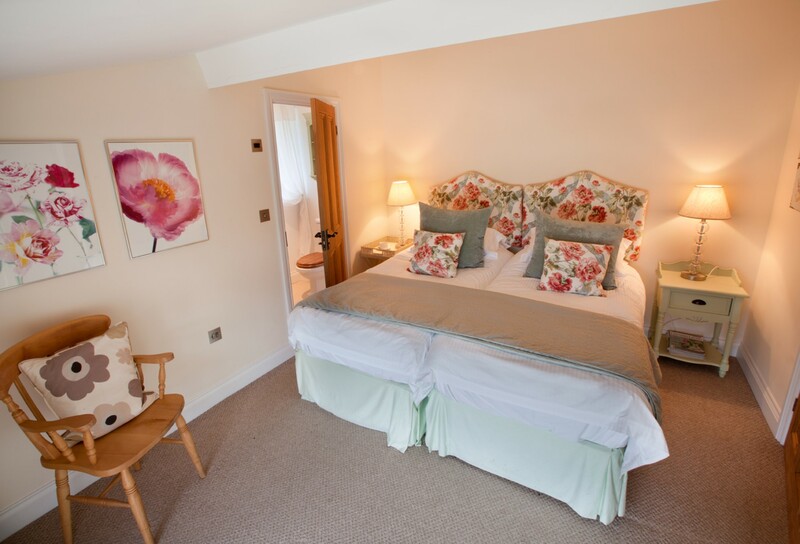 There are also two ground floor bedrooms, one double bedroom and one twin room, both with en-suite shower rooms (with walk-in showers), so suitable for an elderly relative or guests with limited mobility. The first floor is split into two wings. 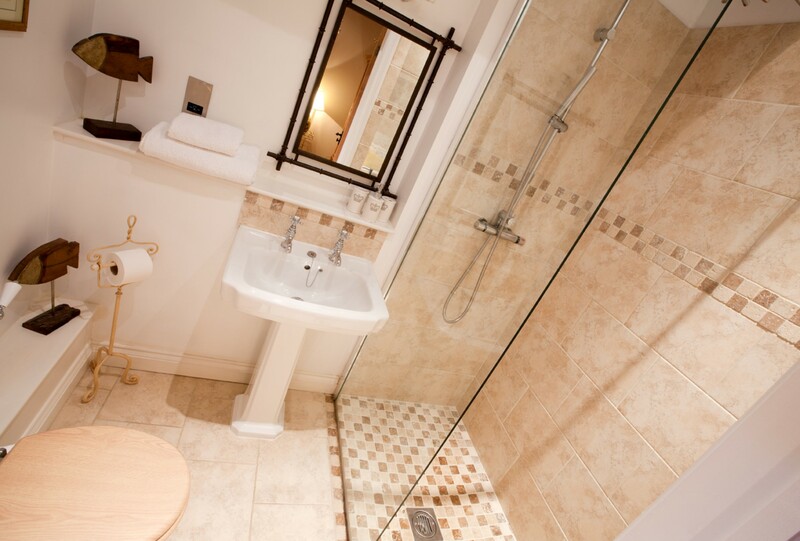 The East Wing has two double bedrooms, both with king-size beds and en-suite bathrooms (complete with roll top baths). 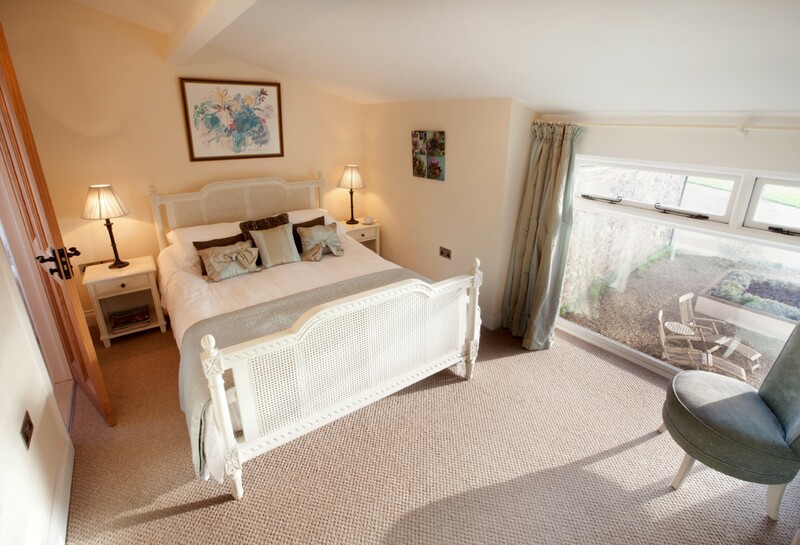 The West Wing has one double bedroom, with a king size bed and en-suite shower room, and a twin bedroom with an en-suite bathroom. 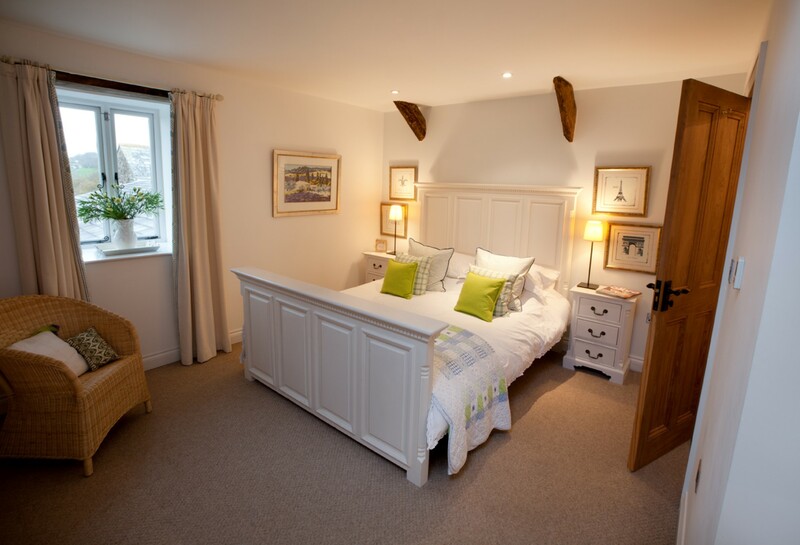 All bedrooms at The Stables at Parkgate are beautifully presented and have a wall-mounted TV. The cottage will accept one well behaved dog and as the area is surrounded by lovely fields and country walks, it's a great place to come and stay with your pet. Underfloor heating, gas fire, double electric range oven with gas hob, microwave, dishwasher, American style fridge/freezer, washing machine, tumble dryer, wine cooler, WiFi, iPod docking station, selection of books and games, flat screen mounted TV in all bedrooms, hairdryer in all bedrooms, bed linen supplied, towels provided (beach towels not supplied), wooden cot, highchair, stair gates, baby friendly, family friendly, short breaks available, BBQ, no smoking, pet friendly cottage, 9 miles from the coast, 3 miles from the nearest pub, weekly changeover day is Friday, enclosed patio, communal gardens with children’s play area, tennis court and games barn, supermarket delivery. The Stables at Parkgate is located in Tawstock, a pretty village set in a stunning valley, where thick woods line the village, and provide sheltered walks on many footpaths. It is also home to St Peter’s Church, which has some if the finest monuments in North Devon and dates back to the 14th century and also Tawstock Court, now a wedding and events venue but once an important North Devon manor. The larger town of Barnstaple is only a couple of miles away and has plenty of lovely shops, restaurants, a multi-screen cinema, theatre and at The Tarka Centre, there are 6 indoor tennis courts. It is also perfectly situated to explore the delights of North Devon with beaches at Saunton Sands and Westward Ho! Only 20 in either direction. For those looking to walk or cycle the Tarka Trail is just a couple of miles away and the wilds of Exmoor are only a 30 minute drive away.